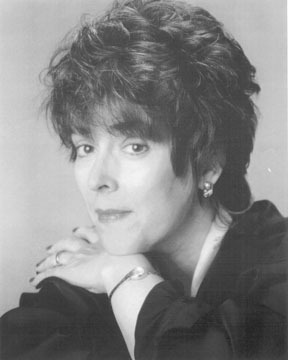 Maureen E. Mulvihill, an elected member (1991) of the Princeton Research Forum, Princeton, New Jersey, and formerly Associate Fellow (1983-1990), Institute for Research in History, New York City, resides in Park Slope, Brooklyn, New York (1983-), with husband, composer-musician Daniel R. Harris. She earned a PhD in Restoration & 18thC English Literature from the University of Wisconsin-Madison (1982) and studied with Sir Tyrone Guthrie in 1969. In the mid-1980s, she engaged in post-doctoral work in Stuart Portraiture at the Yale Center for British Art, Yale University, and also in Scholarly Editing and in the History of the Book at the Rare Book School of Columbia University, New York City. Her recent awards and honors include an NEH Fellowship (Johns Hopkins University, 1990), the Frances Hutner Conference Award (Princeton Research Forum, 1992, 1995), James Clifford Award Juror (American Society for Eighteenth-Century Stds., 1990), Honored Women Scholars (American Society for Eighteenth-Century Stds., 2001), etc. Dr Mulvihill's book credits include a scholarly edition, Poems by Ephelia (NY, 1992; 2d printing, 1993), nominated by ROSTENBERG & STERN RARE BOOKS - NEW YORK for an MLA First Book Award. This volume is included in such special collections as the Grolier Club Library, New York City; The Berg Collection, New York Public Library Research Facility; the library of The Small Press Center, New York City; and The Chawton House Library of Women Writers, Hampshire, England. Her updated 'Ephelia' edition (Ashgate Publishing Group, 2003) is in the NYPL's Berg Collection, The Chawton House Library UK, and the Library of The National Trust, London (for the review of record, see Seventeenth-Century News, Spring-Summer 2004, page 119ff: http://repositories.tdl.org/tdl/bitstream/handle/2249.1/5257/V62-I1-35-Milito.pdf?sequence=1 .) Her online multimedia monograph, Thumbprints of Ephelia (text, image, sound), is a vetted and hyperlinked archive on the Ephelia debate, published by ReSoundings (Millersville University, PA, 2001; with updates), at www.millersville.edu/~resound/ephelia/. Her extended introduction to the Poems (Dublin & London, 1808) of Mary Shackleton Leadbeater, with extended Critical Essay and newly-found portrait-silhouette of Leadbeater, will be available Summer 2008 in the new Irish Women Poets textbase (Alexander Street Press); see http://alexanderstreet.com/brochure.pdfs/iwrp.wf.pdf. In Irish Studies, she has published essays on the Flight of the Earls, Swift, Thomas Sheridan, Oscar Wilde, Mary Tighe, Eibhlin Ni Chonaill (Eileen O' Connell), Mary Leadbeater, Emma Donoghue, Biddy Jenkinson, l8thC Dublin political journalist-publisher James Esdall, Lady Augusta Gregory, the Dublin Book Trade, recent Irish anthologies, the two-volume Field Day Anthology of Irish Women's Writings, pre-Famine Irish women writers (the subject of her MLA panel, December, 2002, New York City), and the 'Bloody Sunday' atrocity (Derry, Northern Ireland, 1972; revisited in the global photographic exhibition, Hidden Truths, curator Trisha Ziff, 2002;see Mulvihill, New Hibernia Review, Dec., 2002. Dr Mulvihill is a frequent contributor (1996-) to the Irish Literary Supplement. She also has contributed profiles of some thirty-five women writers (English, Irish, French, Dutch) to recent reference works edited, respectively, by Janet Todd, Katharina Wilson, Paul & June Schlueter, and Alexander Gonzalez. She was Advisory Editor, Ireland And The Americas, 3 vols (Santa Barbara, CA; Oxford UK: ABC-Clio, 2008), to which she also contributed major profiles, with portrait photos, of Irish business executive Sir Michael Smurfit, KBE (founder/patron: (Smurfit School of Business, University College Dublin), Mary Robinson, Ireland president emerita, and Donald R. Keough, Director & CEO emeritus, The Coca-Cola Company (founder/patron: Keough-Noughton Institute for Irish Stds., Notre Dame University; Dublin). The Mulvihill Collection of Rare & Special Books includes first and early editions of "Ephelia" (pseud., Mary [Stuart née Villiers], Duchess of Richmond); Ann (Finch), Countess of Winchilsea; Anne (Harrison), Lady Fanshawe; Aphra Behn; Katherine Philips; Delarivier[e] Manley; Lucy Hutchinson; Mary Rowlandson; Mary Tighe (the Lytton Strachey copy); Anna Maria Van Schurman, et al. Selected books from this Collection will be a gift, in due course, to the Berg Collection, New York Public Library. She recently has been a visiting professor of Shakespeare and of Global Literature at St John's University (Manhattan) and St Joseph's College (Clinton Hill, Brooklyn); in Fall 2007, she initiated and taught ‘Paradigms of Cultural Diaspora & the Ethnic Formation of Early New York City’ at New York University. She has been a guest speaker at the Brooklyn Museum of Art, Princeton University, New York University, McMaster University (Ontario), New Jersey Institute of Technology Honors Institute (Newark, NJ), Texas State University (San Marcos), Georgian Court University (Lakewood, NJ), Utah State University (Logan, Utah), and the first-ever James Johnson Sweeney Conference (Manhattan), sponsored by the Jackson Pollock-Lee Krasner House & Study Center, East Hampton, NY /SUNY-Stony Brook. Her new book, in development (working title: No More Lovely Lore), investigates the political writings and response of Irish women writers, pre-1801. Portrait Photo: © John Maggiotto, Annandale-upon-Hudson, New York. With permission.